Description: We grow and sell high quality bamboo seedlings to individuals, investment groups, NGOs, CBOs, Government ministries and departments, and County governments. We have over 5 million bamboo seedlings, 30-60 cm tall. A seedling is planted in a tube measuring 6 by 9 inches. Kitil Farm is the largest bamboo plantation nursery in Africa. 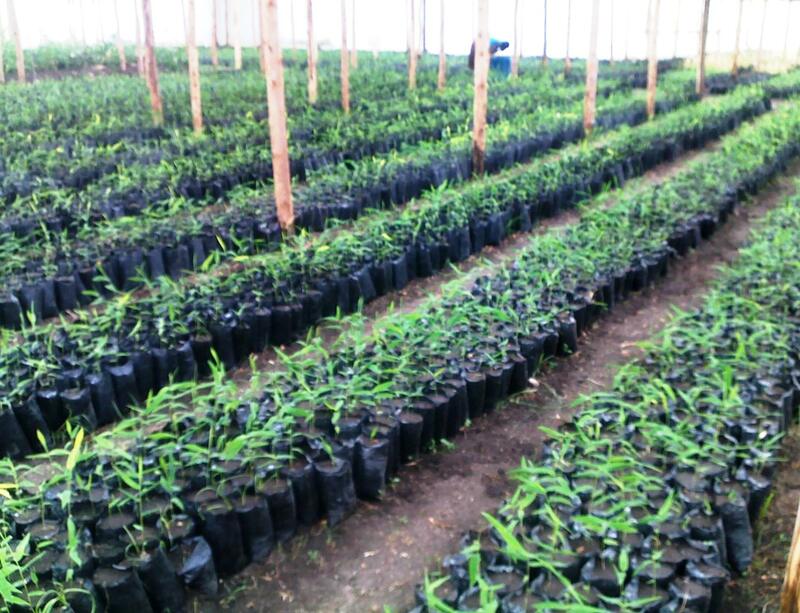 We ensure that seedlings sold to clients have a fully developed root ball. This approach has busted the theory that bamboo has the first year as a sleeping phase. Our seedlings are robust and ready to impress you with 6 inches growth rate per day. We give huge discounts for purchase of 1000 seedlings and above.